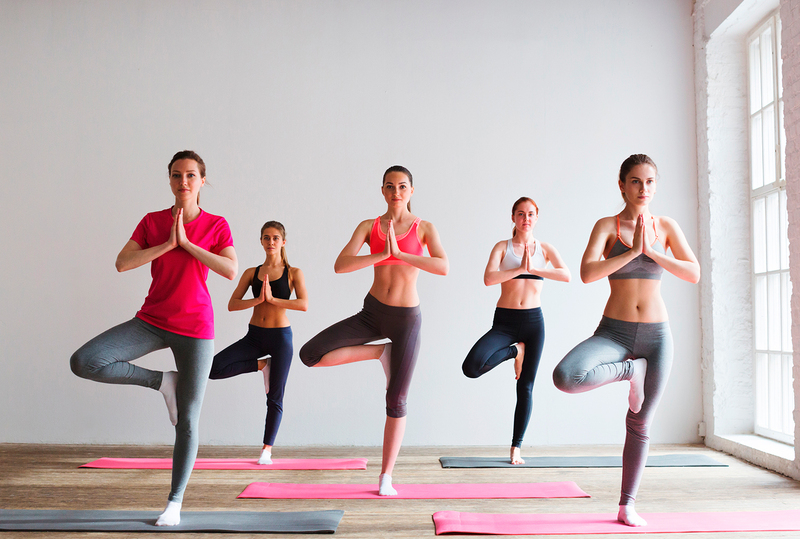 Yoga is more than a physical practice, but is instead a path of toward spiritual enlightenment that combines mindfulness (meditation) with physical postures to facilitate physical and spiritual health. Meditation is a key component of a well-rounded yoga practice. By joining guided breathing exercises with asana, a meditative practice has physical and emotional benefits beyond spiritual awareness. Meditation is associated with improved stress relief, coping skills (coping with stress, grief, or hardship), focus, and empathy toward others. 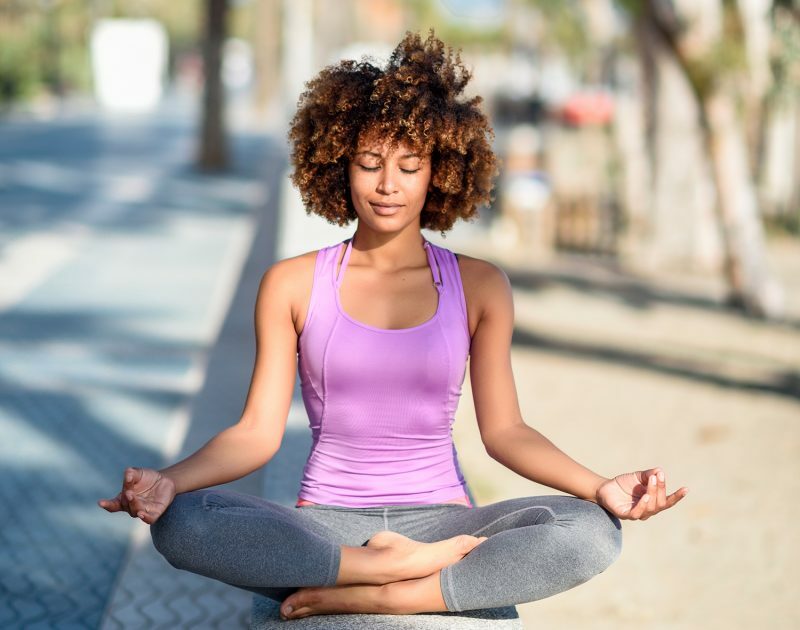 Meditation also has physical benefits: a regular meditation practice has been found to lower blood pressure, reduce anxiety, improve sleep quality, control pain, and can be both relaxing and energizing. Meditation helps manage depression and anxiety, and has been linked to increased immune system health. Adding a meditative component to a yoga practice can help in calming the mind, relaxing muscles, and improving self-awareness. Meditation is more than just breathing. While meditation focuses on controlled, purposeful breathing, it is also accompanied by visualizations, mindfulness, mantras, and self-reflection. The earliest yoga practitioners used poses (asana) as a mode of meditation. Poses should be used with meditation and breath-work to reach spiritual enlightenment. Therefore, a well-rounded yoga practice incorporates meditation and breathing with physical postures. 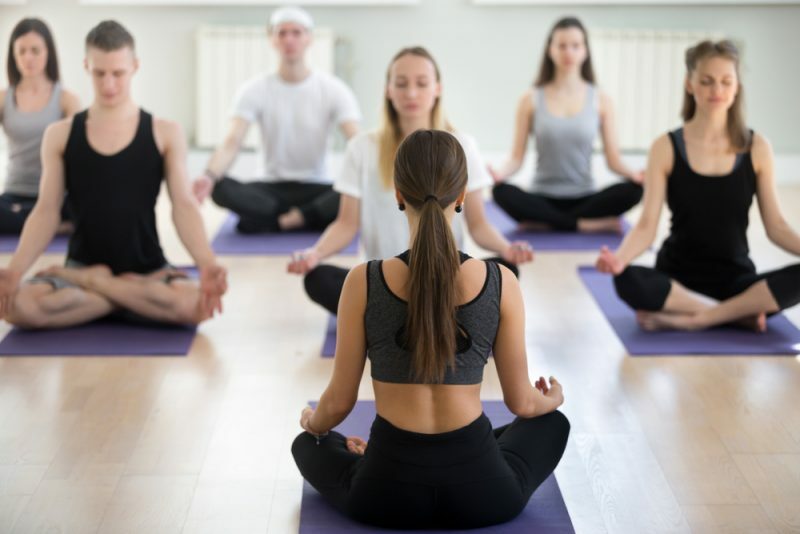 There are several types of meditation, and when paired with a physical yoga practice, can promote wellness in many areas. Meditation is a solitary practice, but there are benefits of starting with guided meditation in a class-setting – that is, not by oneself. Beginners can introduce a meditation practice with the help of an instructor, who can guide posture, breathing technique, attention, and concentration. Classes can be in-person or remote, but having a classroom setting or an instructor is one of the easiest ways to get started, for those new to the practice. Meditating with a guided class or instructor is the easiest way to begin focusing on the breath. Instructors can help facilitate a calm meditative session. Instructors can also continually reinforce the importance of breath, mantras, and intention during the class; this helps beginners whose mind wanders or struggles to concentrate. Incorporating regular classes into your meditative yoga practice can build duration and focus—and a stronger yoga practice. Posture: Sit cross-legged or lie comfortably on the floor in a quiet space. It is more important to be relaxed and comfortable than in one specific posture, so sit or lay in a way that is natural and comfortable. Keep your back straight, but not tense. Close your eyes: This helps take away visual distractions and allows you to connect with your body and breath. Breath: Breathe naturally—do not focus on controlled breathing at first. Relax the body and mind, and start by just observing your natural breath. Attention: Focus your attention on breathing, how you feel, and how your body moves with each breath. When you get distracted or the mind wanders, gently draw your attention back to your body and breathing. Duration: Meditation is an exercise in focus, which takes time to build up. Start with short sessions of 5-10 minutes each day. Set a timer with a gentle alarm sound. Meditating for 10 minutes a day is infinitely better than meditating for 70 minutes once a week. Incorporate short sessions into your daily routine to help build familiarity and mental stamina. This is a calming, easy yoga routine, aimed to get the body and mind relaxed and alert before the day starts. At 15-minutes, this meditative sequence can be fit in any morning routine. Brett Larkin blends guided breathing with instructional asana to start the day. Perfect for beginners to understand the basics of meditation during practice, Jen Hilman’s “Meditation and Destressing” is a 15-minute introduction to the fundamentals of adding meditation to the asana practice. This is a guided meditation done in a seated position, without additional asana. This practice focuses on breathing techniques and visualization. This vinyasa flow combines focused breathing, meditation, and a yoga sequence (asana) for a bright way to start the day on a positive, peaceful note. This is a practice that combines meditation with the physical yoga practice, and is suitable for all levels. Some poses are slightly advanced, but Juliana offers alternatives for beginners, to make this an accessible, peaceful addition to any morning routine. This is an ideal restorative asana sequence perfect for beginners, those looking for a calming and gentle practice, or those with limited mobility. Candace uses guided breathing, visualization, and focused attention on the body to create a calming, restorative session. This session focuses on breathing and correct posture for relaxation and peace. Jade starts this practice with a seated, guided meditation that focuses on connecting with your breath, overcoming emotional barriers, and finding purpose. This is a calming, purposeful meditation, which Jade then brings into a 30-minute yoga flow. The poses are accessible for all levels, and Jade provides pose instruction and alternatives when needed, all while maintaining a guided breath. This class begins with a meditation and the mantra, “I am content,” to shape the intention of this yoga flow. This class uses motion, guided breathing, and mantras to bring meditation into the physical yoga practice for peace, contentment, and self-awareness. This 20-minute class can be done at the beginning or end of the day to awaken the core and hips. Patrick’s sequences are fluid and mindful, and he asks his students to focus on intention and feeling rather than any specific pose. This meditative sequence uses breathing rhythm and self-awareness to guide the practice. Suitable for all levels. Erin begins this class with a seated meditation to set intention and focus, then moves into hip- and heart-opening poses. Heart-opening postures improve posture and promote emotional wellness. Practitioners familiar with sun salutations will find the flow familiar and energizing. Give yourself permission to relax, move with ease, and do less in your day with Carling’s restorative flow. This uses guided breathing and mindful movements to heal the body, with an emphasis on calming the body through breath – moving away from the “fight or flight” response and toward deep breathing from the diaphragm. Carling provides modifications for all postures, and encourages the use of blankets, towels, or blocks to improve comfort. This is a quick, full-body flow to help the body feel invigorated, awake, and energized. This can be done anytime during the day to help recharge your body and spirit. Patrick guides the class with mindfulness and encourages students to listen to their bodies to feel their best. This class is slow and gentle, aimed to calm the mind and body. The outdoor setting, running water, and guided meditation promote relaxation, while the hatha flow releases tension in the hips and lower back. Join Riyaana on the beach for a full-body flow that incorporates breath-work and meditation. The class begins with a guided meditation to help align breathing with movement, then moves into a peaceful vinyasa flow that relaxes the spine and opens the heart. Suitable for all levels, Riyanna provides modifications for advanced poses, and purposefully sets a slow pace to focus on breathing. This is an energetic, quick vinyasa flow that is designed to help energize the body. This class was designed to fit into a quick morning routine to start the day, and promotes strength and balance for all types of athletes. This is a meditative class specifically designed to ease bloating and digestive upset, particularly for people with Ulcerative Colitis, IBD, or IBS. This class is a quick 12 minutes that uses movement to bring relief, along with focused breathing. This is a quick sequence to help wind down at the end of the night. This class uses controlled breathing exercises, while stretching the lower back, neck, shoulders, and hips to promote relaxation and healthy sleep. Meditation is an ongoing practice toward peace, wellness, and self-awareness. The earliest yogis taught “yoga” as both a spiritual and physical practice—more than poses, the full yoga experience should blend mindfulness and meditation with physical asana. By incorporating meditation into a yoga practice, this honors the roots of yoga and has positive physical and emotional benefits.